Home Insurance How Much Does Renters Insurance Cost? Before tackling the question “How much does renters insurance cost?” let us first find out what renters insurance mean. 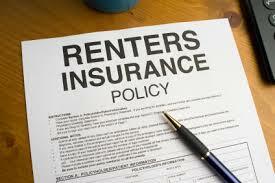 Renters insurance is an inexpensive insurance policy which covers the personal property inside a rented flat or condo. In case a visitor is injured, the renters insurance also covers the liability for medical and other legal expenses. Protect your belongings. If you are renting an apartment and you think that your personal insurance policy will cover the loss of your property when calamities and destructive events happen, you are most definitely wrong. The landlord will be paid only for the building itself and not the renters’ properties. Provide temporary housing. In case you have to move out of your apartment while it is being repaired due to an accident, your renters insurance can provide you with the money you need to pay for a temporary place to live in. Pay for structural damages. If you are the one who caused the accident that results in damages to property, your renters insurance can pay for the damages incurred in your own apartment and your neighbor’s rented space. Protection against medical and legal liability. If for instance your dog bites a visitor, you will be held responsible. You will need to pay for his medical expenses. If he sues you for the accident, you will need to get a lawyer. Your renters insurance can help you out in these scenarios. 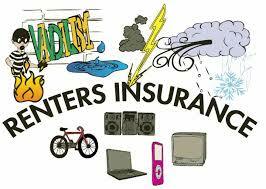 The good news for renters is that renters insurance costs way less than homeowners insurance. This is because the renter will only need to insure his personal belongings and not the building itself which is covered by the property owner’s insurance. So how much does renters insurance cost? The answer depends mainly on the policyholder. For instance, if you have personal belongings that amount to $50,000, you can choose to have policy coverage of the same amount or just half of it. 1. On average, you will need to pay a monthly premium of $12 if you want a property coverage of $30,000 and liability coverage of $100,000. The type of property you are renting. How much coverage you want. The value of the personal belongings insured. How much deductible you select. 3. Getting a basic renters insurance policy of $12 per month is better than not being insured at all. 4. If you choose a higher deductible you will need to pay lesser monthly premium. The deductible is the portion of a covered loss that you are willing to shoulder.